Unrecognizable father with a toddler boy cooking. 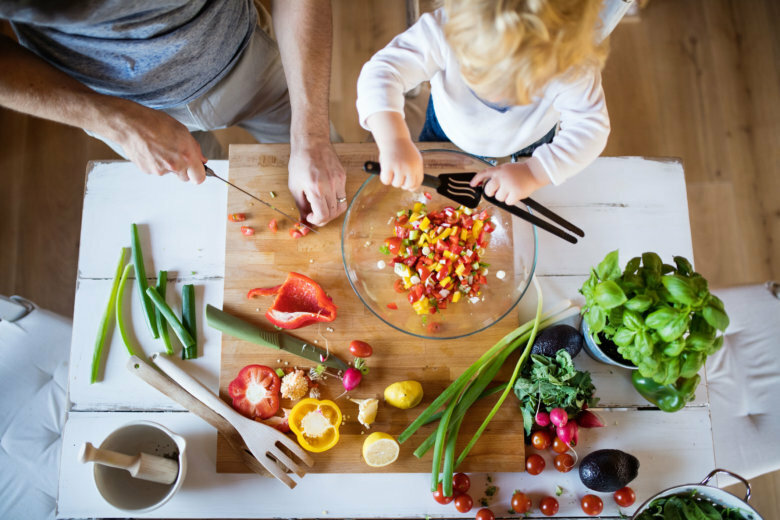 A man with his son making vegetable salad. Top view.